Welcome to Tranquility. Our aim is to provide you with a peaceful, calming and stress-free environment. We understand that taking time out for yourself is a luxury. Feeling good about yourself starts with taking care of yourself. We cater for both men and women. However you choose to relax, we are sure that we have the perfect treatment for you! Rather than analysing the skin in general terms, face mapping divides the face into 14 different zones each with its own set of potential problems and unique needs. Using the zones and the face map as a guide our therapists are able to conduct an inch by inch methodical analysis of the subsequent professional treatment and the home care prescription will fully address each client’s concerns. It is not advisable to have any heat treatments before or after waxing eg, sunbeds, hot baths, saunas etc. Book a Full Leg and any Bikini Wax and receive 10% off! Polish that can last up to 2 weeks without chipping or scuffing. Instantly dry. About sunbeds: You should leave 24 – 48 hours in-between your sunbed sessions and a cream is recommended before you use it. If you have a history of skin cancer, then you will not be able to use the sunbed or if you are on a medication called Psoralen. You must be 18 or over to use our sunbed. Waxing not is recommended before or after a sunbed. Please make sure you exfoliate 24 hours before your Sienna Spray Tan. No waxing or tinting 24hrs hours before or after your treatment. Wear dark, loose clothing. Caci Advanced Facial Technology Caci award winning treatments use the very latest pioneering technologies and have been voted the most effective anti-ageing treatments available. The results of over two decades of research, these non-invasive treatments can deliver dramatic, visible results, without the need for surgery. Caci treatments regularly capture media headlines and have a huge celebrity following. Caci treatments are now available at over 6000 of the world’s most prestigious treatment clinics, including Tranquillity. Caci Non-Surgical Face Lift 1 hour £48.00 / Course of 10 for £425.00 This treatment gently lifts, tightens, tones and re-educates the facial muscles whilst smoothing the appearance of fine lines and wrinkles. Skin is beautifully re-hydrated while tone and texture is improved, leaving skin with a wonderful glow and a firmer, more supple appearance. A course is recommended to give long-lasting results. Caci Ultimate Anti-Ageing Facial 1 hours 45 mins £75.00 / Course of 10 for £625.00 This treatment will leave you with smoother, lifted, plumped and more hydrated skin. Incorporating microdermabrasion, the non-surgical facelift, jowl lift, wrinkle comb with LED light therapy and hydratone mask, this is the ultimate Caci treatment. Caci Hydratone Treatment 25 mins £30.00 An intensive skin hydration and skin firming treatment using a mask infused with collagen, hyaluronic acid and vitamin C&E. The skin is cleansed and exfoliated before the mask is applied. Dehydrated and environmentally damaged skin is quenched, while deep lines and wrinkles are plumped out, leaving skin looking radiant, soft and more youthful. Caci Crystal Free Microdermabrasion 40 mins £45.00/ Course of 10 for £395.00 This skin resurfacing treatment works by gently removing the superficial layer of the skin to help skin blemishes, scarring, sun damage, fine lines, wrinkles and stretch marks. LED light therapy is also used in this treatment to target your concerns. The hydratone mask is applied to hydrate and calm, leaving your skin brighter, clearer and revitalised. Caci Wrinkle Revolution 25 mins £25.00 / Course of 10 for £200.00 This is a non-invasive, needle free alternative to collagen injections and dermal fillers. Working on one area this treatment softens and smooths the appearance of fine lines and wrinkles. Caci Eye Treatment 50 mins £39.00 / Course of 10 for £325.00 Concentrating on the eye area this treatment lifts, smooths and plumps, erasing fine lines, dehydrating and repairing the eye area. The treatment includes delicate microdermabrasion, use of the wrinkle comb and hydratone mask. 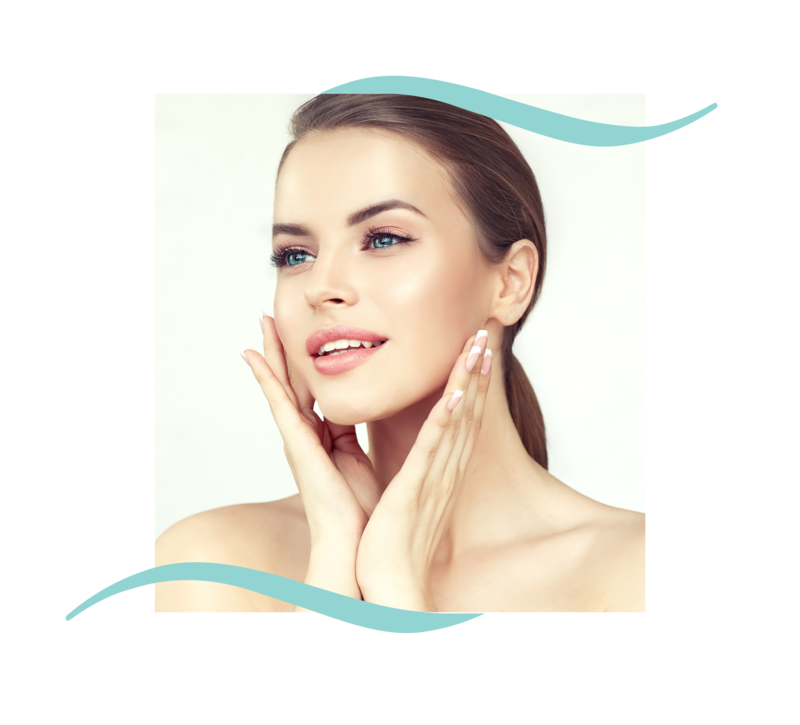 Caci Jowl Lift 25 mins £29.50 / Course of 10 for £250.00 This facial treatment helps to improve the appearance of sagging jowls by using Quad Probes, which have been specifically developed to target the muscles around the jawline. Hot stone treatment is known for its deeply relaxing benefits. Heated Basalt stones are used to massage and melt away knots, stress and tension. It also promotes harmony, balance and peace and is perfect for relaxation. Copyright © Tranquility Nails & Beauty. All Rights Reserved.